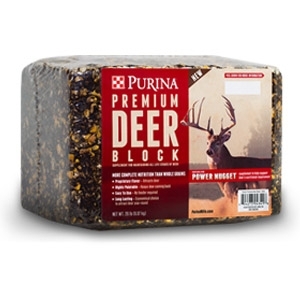 Purina® Premium Deer Block is a highly-palatable, easy-to-use 20-pound premium block supplement for attracting and maintaining deer. New and improved Premium Deer Block provides more balanced nutrition for deer than whole grains. Click here for guaranteed analysis and more information.